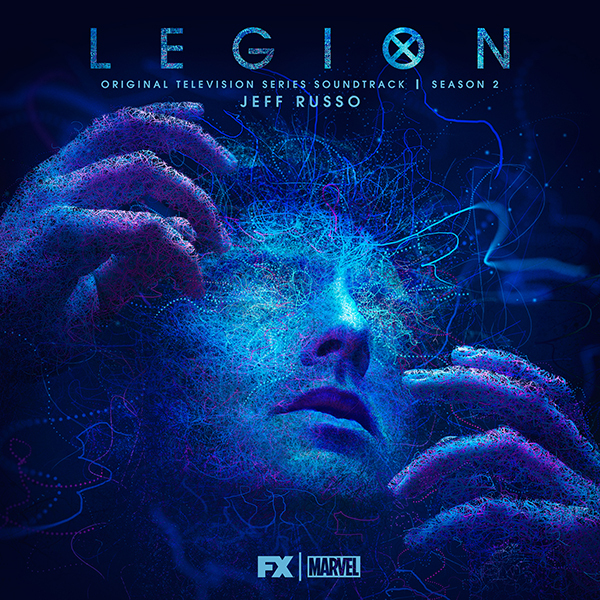 Lakeshore Records will release the LEGION SEASON TWO - Original Television Soundtrack digitally on May 25th, featuring original music by Emmy® Award winning composer Jeff Russo (Fargo, The Night Of). Legion is the story of “David Haller” (Dan Stevens), a man who believed himself to be schizophrenic only to discover that he may actually be the most powerful mutant the world has ever seen. Russo goes deeper and pushes more boundaries with the second season score. Legion currently airs Tuesdays at 10pm ET/PT on FX. In addition to composing music for film and television, Russo is a founding member, lead guitarist and co-songwriter of two-time GRAMMY-nominated, multi-platinum selling rock band, Tonic. Their debut album, "Lemon Parade," posted three singles in the U.S. Mainstream rock charts' Top 10, with “If You Could Only See," rocketing to number one. In 2003, the band received two Grammy nominations, one for "Best Rock Performance by a Duo or Group with Vocal" for "Take Me As I Am," and one for "Best Rock Album." Lakeshore Records will release the LEGION SEASON TWO -- Original Television Soundtrack digitally on May 25th. Great soundtrack for an awesome show - best superhero show ever.